This oak sofa table is made by laminating strips of solid oak to make the top. The legs are red oak and the skirts are reclaimed hard pine. 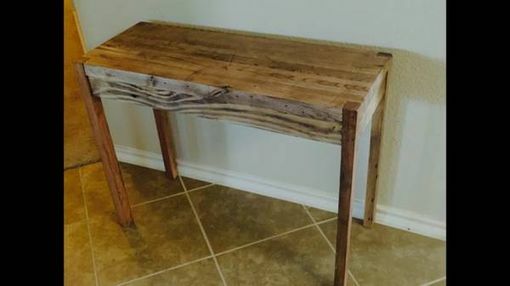 This table is beautiful and very sturdy.